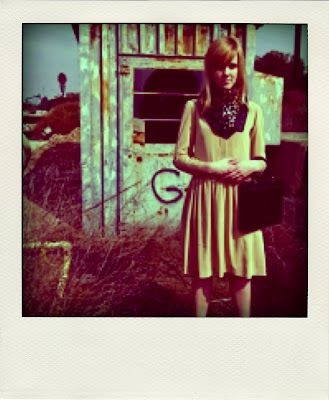 There is a Poladroid craze going on and I have finally jumped on the bandwagon. I have been wanting a Polaroid camera since I was a little kid and have been looking for one on my thrift store trips, but then there is the issue of film, what kind and where to get it? Plus I don't have a scanner, so I wouldn't be able to share them here anyways. (I am continually held back by my lack of technology!) 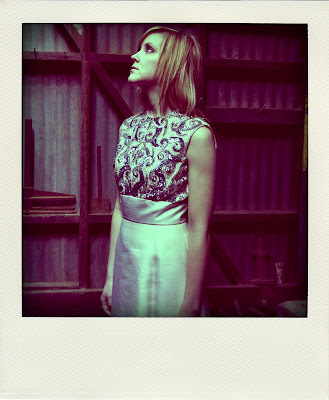 Then along came Poladroid...it's just as fun and much cheaper! (It's free) On a side note, I have recently found that there is a free application out there to meet every one of my needs...Gimp has been my answer to the out-of-my-price-range Photoshop/Illustrator team and I love it! Ok, back to Poladroid...it's a quick download and then you just drop your pictures in and it spits out a photo that you can't make out, as the seconds go by the image emerges just like the live version...it's a blast! 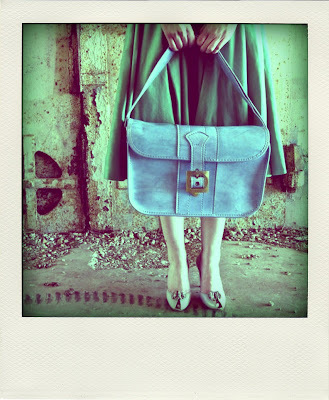 Here are a few of the Spring Lookbook pics from last year that I still find very compelling...I dropped them into Poladroid and VOILA! Original photos by Nathan Huesmann.